Requiem” was formed by Miguel Freitas and Marcelo Freitas in 1992 in honor of composer Wolfgang Amadeus Mozart, is this fact or fiction? 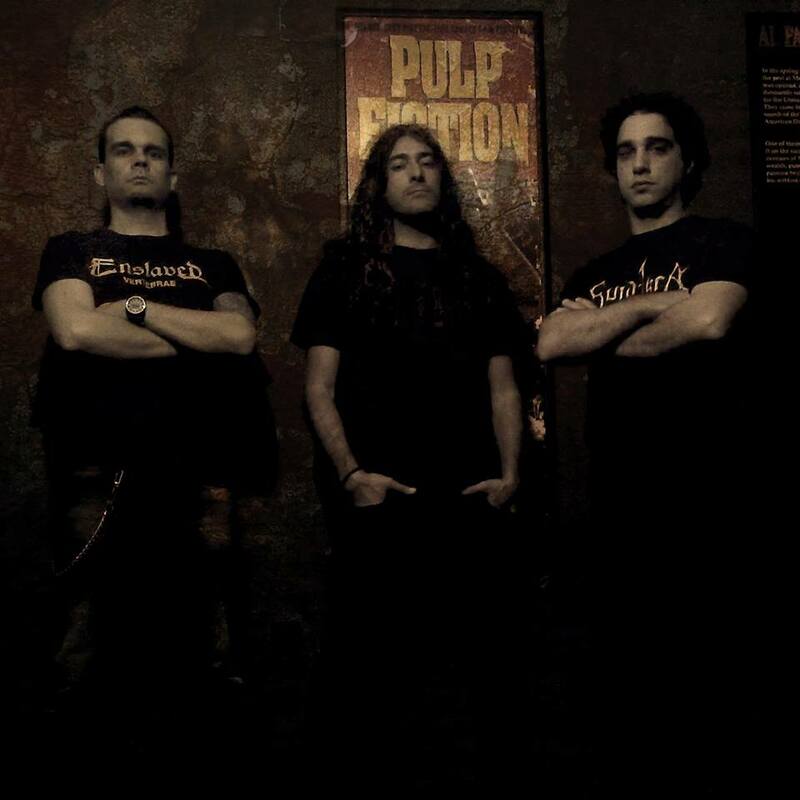 Miguel Freitas: Yes, is real fact, I formed my first band “Morbidatory” in 1989, in 1992 The whole group left. And I was alone, and at that time I was listening to the great work “Requiem” by Wolfgang Amadeus Mozart. Then I invited my brother to play drums and decided to give it the name of the band, calling it “Requiem”. Later on the band name was changed to “Requiem Laus” do to legal reasons, other bands going by the same name etc. Can you tell us a little more about the reasons for the name change? At the time were you happy to make this change or was it a forced issue? 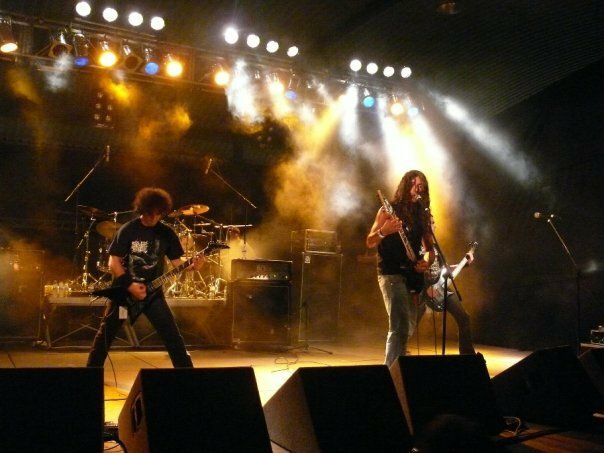 Requiem Laus are labeled as being a Melodic Death Metal band, is that fair to say? Miguel Freitas: Yeah, I think so. We are a Heavy band with melodic parts. What Genre do you consider yourself? 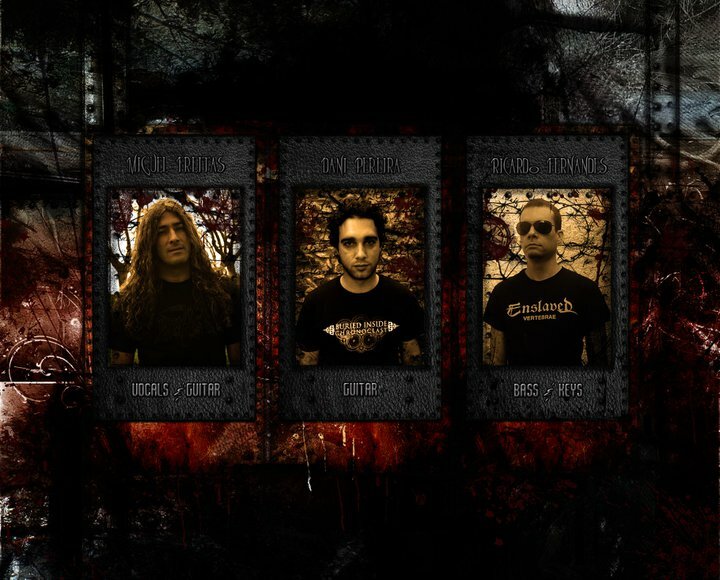 Miguel Freitas: We’ve heard everything from heavy metal to ,Death, Doom, Black, up into Brutal….. I consider a mix all of them. Can you tell our readers about the band and about the beginnings in your native Country of Portugal , what was the scene like in 1992 as opposed to 26 years later? Ricardo Fernandes: We’re from Madeira Island here its not a very original music band safe environment, even worst for metal music. Things were better in the 90’s for sure. Regarding the mainland Portugal, it’s better now, even if a bit crowded, but there’s a lot more bigger Festivals supporting the local bands. Even though few pay decent if any pay to local bands. Alot more clubs and shows/big bands. Though some tours fail to cross the border from Spain to Portugal. Promoters sometimes work in mysterious ways. Have you grown as people and as a band in that period of time? Ricardo Fernandes: Yes, both in a way. We still feel like kids doing this band thing, but when you listen to our music from cd to cd there’s a lot of improvement regarding the arrangements, there’s less stuff we think we could have done better. So yeah we’ve grown. Any changes you wish to have made along the way? Ricardo Fernandes: Earn enough money to buy a decent resident drummer (lol). Thats our main issue, loss of a drummer that stay around for more than a year. Again living in a small island has its disadvantages. How do you feel about the current Political and Religious landscape in the world today? Ricardo Fernandes: Both things are a necessary evil i’d say. Me personally hate both. Perhaps mankind needs it. For us , it gives us purpose and inspiration on the songs feels and themes. If the world was a perfect place there would be no place for Heavy Metal. Does it affect you directly or indirectly as a band? Ricardo Fernandes: As a Heavy Metal band, we are always outsiders on this country. Though music wise there’s more acceptance or at least comprehension of the style and what is behind it. Few people see us ” metalheads ” as cat killing devil worship fiends. Are you happy and content with the success of the band thus far? Ricardo Fernandes: Yes, we would like to have done more shows and play outside our country. But all the music we have created and released makes us feel fulfilled. Have you met or even exceeded your goals? Ricardo Fernandes: Never, that’s what keeps ur going. There’s still more we can and are willing to do with our music, and keep working with Jorg Uken at Soundlodge studios our go to Producer and recording Session Drummer. Or is there much more you would like to accomplish? Ricardo Fernandes: Again, more festival gigs alongside big names and especially outside our native country. As 2016 winds to it’s end, what does Requiem Laus have in the fold for 2017, In closing it as been a pleasure to have you with us, there are million questions I would liked to have asked, maybe we can get together again in the near future and talk in more detail. Do you have any final words for your fans all over the world and to readers of Metalheads Forever Magazine? Once again thanks for taking the time to answer a few of our questions. Good luck in all future endeavors. Miguel Freitas: The pleasure is all ours for sure, 2017 we will release more new material and hope we can play outside of Portugal for the first time. I take the opportunity to say to all festivals and promoters that we are ready to embrace our music over the world, Give us an opportunity. Many thanks to all the people that follow us and to Metalheads Forever Magazine for your continued support and thanks for the interview.